That's not the only difference though. The first thing I noticed upon listening to this release was the bass on 'Dream Factory' - it's kicking out at you like on none of the other releases of this album. Guitar parts which were lost in the mix on other tracks ('Sign O' The Times' springs to mind) are also audible on here, 'I.C.N.T.T.P.O.Y.M. sounds less flat than on the Sabotage 'Dream Factory Remastered' release, and the slowed down voice on 'All My Dreams' can be heard to completion. It's quite unusual for a fan's home-made work to out-do one of the major bootleg labels, however I believe that this release has easily out-classed all other versions of this 1986 masterpiece. Pretty much an essential in my collection. An absolutely fantastic release. This configuration was sequenced sometime between June and July 1986 - although it is not the final configuration. I can only imagine what would have happened had this actually been released, as it is Prince and the Revolution at their most creative and at their imaginative peak. Firstly, you have to remember that Sign O' The Times (the album) hadn't been released or thought about yet, so the forget how the tracks sound on the Sign O' The Times album. Visions is a beautiful solo piano piece by Lisa, Nevaeh Ni Ecalp A (A Place In Heaven backwards) is simply an intro to Dream Factory. Train is an absolutely amazing song and it's a crime it hasn't been released. Interlude is Wendy's guitar solo piece. Strange Relationship is the 'Revolution' version. I Could Never Take The Place is slightly extended during the guitar portion of the song. A Place In Heaven is Lisa's vocal. And finally 'All My Dreams' - surely if there's one song that sums up Prince, Wendy & Lisa's work together at it's most inspirational, imaginative and most clever - it's that. The material was obviously too good to shelve after the Revolution disbanded, so it's understandable he chose to use some tracks on S.O.T.T. An absolute must have album for any Prince fan. The packaging for this disc is brilliant. 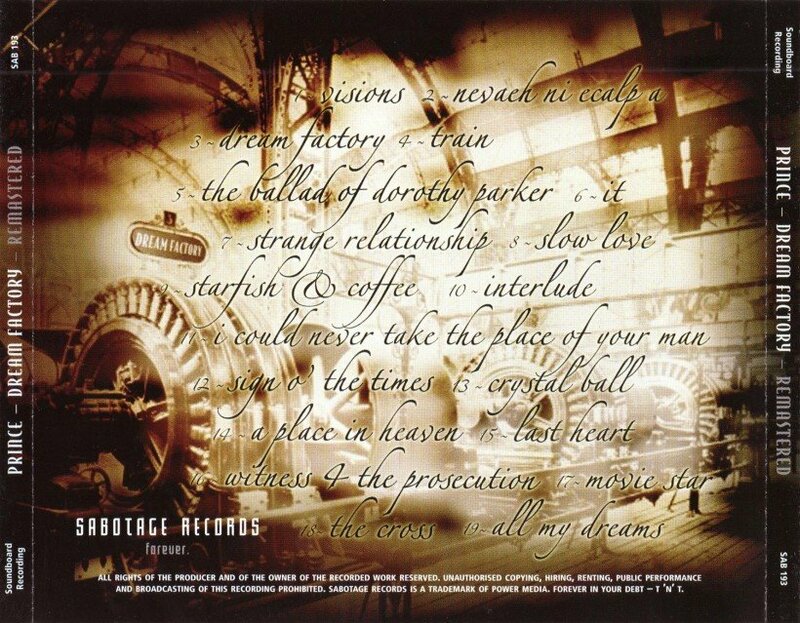 The booklet includes a nice 'story of the Dream Factory', taken from The Vault. Sheer class. 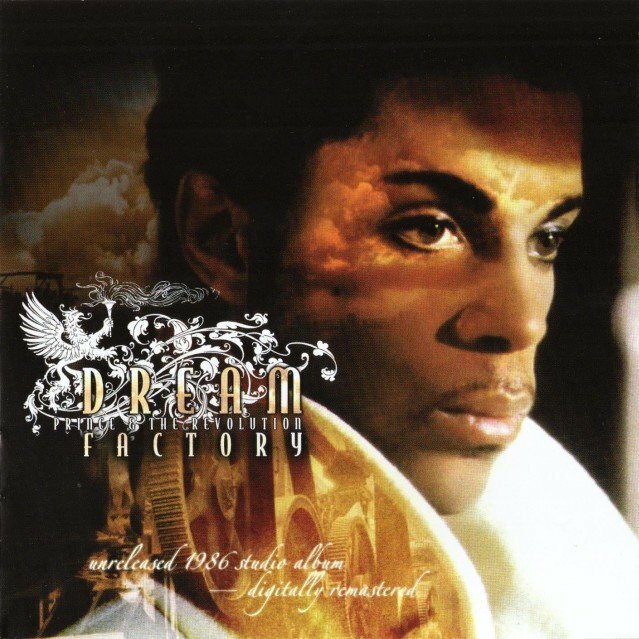 Dream Factory 0 out of 5 based on 0 ratings. 0 user reviews.